Welcome to the house of Hospital equipments, Hospital furniture and Surgical equipments. We are one of the largest Manufacturers, Supplier, Distributor and Exporters of Hospital Equipments and Hospital Furniture. We are leading hospital furniture manufacturer and exporter from India. Supplying and exporting quality Medical Furniture and Surgical Instrument for over three decades. Surgical Exim is known for its hospitality in hospital equipments, hospital furniture and hospital supply. 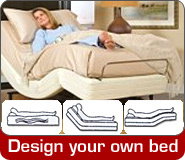 We are Manufacturers and Exporters of hospital furniture and hospital supply. We are Manufacturers, Supplier, Distributor and Exporters of Hospital Equipments and Hospital Furniture like Hospital Bed, Hospital Tables, Hospital Trolleys, Hospital Lockers, Hospital Couch. Address: D4 Surgicals India Pvt. Ltd. 307, Samruddhi Commercial Complex, Chincholi Bunder Road, Off Link Road, Malad (West), Mumbai - 400064, INDIA.